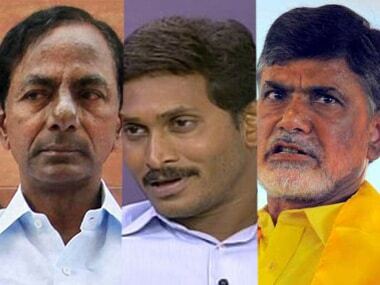 Of the 100 candidates in the electoral fray for the 25 Lok Sabha seats in Andhra Pradesh, the four established parties — the TDP, YSRCP, Congress and BJP — have fielded 11 women. The 12th is a sitting MP, neither from an established party nor quite an Independent. There are 15 others, in a sea of unknown names, either from boutique parties or Independents. The newly-minted Jana Sena Party, its allies included, found not a single Andhra woman worthy of Parliament. This brings the total to 27 women contesting across 25 constituencies with eight of the constituencies not offering voters any women candidates at all. 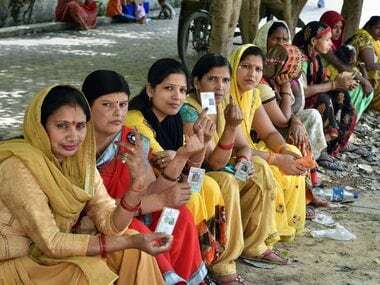 In the liberal debate that reservation of constituencies as women-only limits voters' choices, what lies forgotten is that voters across innumerable constituencies in India do not have or have never had a choice to elect women. 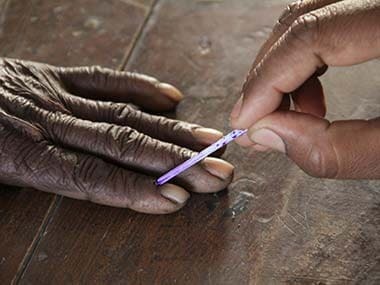 The two junior parties in the state, not withstanding their freshly-minted manifestos with entire sections dedicated to "women's empowerment," the Congress and BJP, have reposed meagre faith in representative democracy and women's political rights; they field merely two women MP candidates each. The Congress is fielding Ramani Kumari Pedada in Visakhapatnam and Sruthi Devi in Araku. The BJP is fielding MP Daggubati Purandeswari in Visakhapatnam and Hamsa Devineni in Anantapur. Visakhapatnam voters have the largest variety of parties and high profile, experienced women. Veteran MP Daggubati Purandeswari, also TDP founder and former chief minister NT Rama Rao's daughter is a well-known two-term MP from the Congress. Having served as a minister in the UPA governments, she is now running with the BJP. Kothapalli Geetha, the sitting MP of Araku who rose without dynastic backing, is running on her own Jana Jagruti Party ticket from Visakhapatnam. She is the 13th one who cannot quite be classified in any bucket, except as a formidable contender. Then, there is Ramani Kumari Pedada, the Andhra Pradesh Mahila Congress president who tried her luck in the last Assembly election from Visakhapatnam West. Araku is the other face-off between women, over and above the father-daughter poll contestation. Lawyer Sruthi Devi, running with the Congress in the ST reserved Araku constituency against Gaddeti Madhavi, also a debutante in electoral politics, who is on a YSRCP ticket. Both debutante Araku women come from political lineage. Sruthi's father, now opponent, is a six-time MP, while Madhavi's father was a two-time MLA. At the other end of the state, law graduate and Andhra Pradesh BJP spokesperson Hamsa Devineni is a first-time contestant from Anantapur, coming from generations of politicians associated with the Janata Party and TDP — both in the Lok Sabha and Assembly. In the Tirupati (SC) constituency, Panabaka Lakshmi is a veteran parliamentarian fighting on a TDP ticket, having represented Andhra Pradesh in the 11th, 12th and 14th Lok Sabha from Nellore, and in the 15th Lok Sabha from Bapatla, and served as Union minister. Along with with DA Satya Prabha of the DK Adikeshavulu Naidu family and the MLA of Chittoor, now contesting for MP in Rajampet, and Maganti Roopa, a social entrepreneur debuting in her father-in law's Rajahmundry seat, the tally rounds off to a pathetic three tickets to women from the TDP. The YSCRP leads the pack even with a miserly four tickets to women. Other than Gaddeti Madhavi in Araku, the YSRCP are fielding two other first timers, polyglot Chinta Anuradha for the Amalapuram SC reserved seat, and Dr Kandregula Venkata Satyavathi, gynaecologist and social worker, for the Anakapalli seat. Vanga Geetha, their seasoned candidate, has both parliamentary experience as a Rajya Sabha member, and legislative experience as MLA of Pithapuram. Paging backwards, Andhra's history of sending women to the Lok Sabha is nothing to crow about. Even with party women being more winnable every single election, what the Andhra Pradesh candidate roster for the 17th Lok Sabha evidences is that that parties deliberately disregard winnability data over patriarchal protectionism of power. Their candidate lists amount to not having even a dozen women in each party amongst lakhs of their female pary workers, signalling that they are chronically discriminatory in their practices. That parties have no place for women means that Andhra women have no place in Parliament. The men of Andhra Pradesh will continue to, almost entirely, dictate fate as voices from the state, bypassing the lived experiences of 2.5 crore women. Come 11 April, voters will be well-served to remind themselves of the ADR analysis showing that at least 33 percent of male MPs have criminal records some of them grievous, including crimes against women, kidnapping, attempted murder etc. It is noteworthy that not one of these 12 women have criminal cases against them as per their election affidavits; in other words, electing any woman candidate ensures a non-criminal representative. With that done, a maximum of nine party women can be elected to the Lok Sabha across 25 seats given their races against each other, notching up the tally to 36 percent women MPs from Andhra Pradesh. A historic figure that will make Andhra, nay India, proud.